Captain Beefheart Don Van Vliet "Bat Chain Puller" DiscReet Records 2012. Captain Beefheart Don Van Vliet «Bat Chain Puller» DiscReet Records 2012. Captain Beefheart, 35 años después de la grabación del «Bat Chain Puller» saldrá a la venta el próximo 15 de enero de 2012, su disco inédito con 12 temas originales y 3 bonus tracks. (el bootleg lleva circulando décadas). El disco fue producido por Frank Zappa y grabado en sus estudios DiscReet Records, al poco de terminar de grabarse «Bat Chain Puller», Zappa demandó a su co-propietario de estudio Herb Cohen, el disco quedaría escondido en alguna estantería de esos estudios de Nueva York, los herederos de Zappa junto con miembros de la Magic Band, muestran el legado «desconocido» de Don Van Vliet, Captain Beefheart. Documental sobre la vida y música de Captain Beefheart. 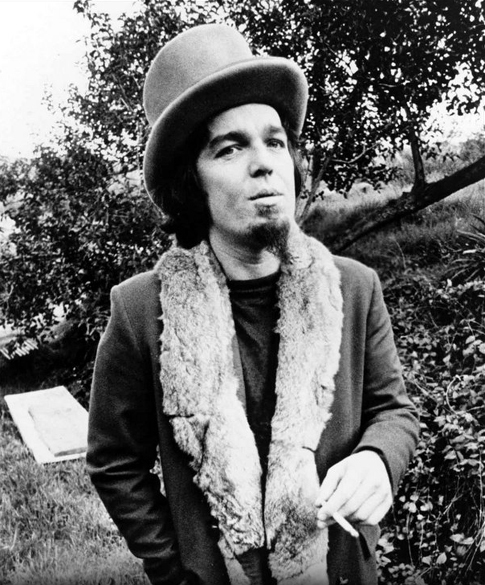 A long-lost Captain Beefheart album is to finally be released, on what would have been Don Van Vliet’s 71st birthday. «Bat Chain Puller» was recorded in 1976 but shelved later that year, due to a dispute between Frank Zappa and his former manager, Herb Cohen. Unfortunately that’s as far as things got. When Zappa sued Cohen, Bat Chain Puller was caught in the litigation and the album was shelved. Although many of Bat Chain Puller’s songs were re-recorded for subsequent Beefheart releases, the original record has only been available among fans, as a popular bootleg. More than three decades later – and just over a year after Vliet’s death – Zappa’s estate has announced that Bat Chain Puller will officially see the light of day. The album is available for pre-order on CD, a release that comprises the 12 original tracks and three bonus cuts. It will arrive on shelves on 15 January. Escucha el bootleg de «Bat Chain Puller» de Captain Beefheart en el siguiente vídeo. Siguiente artículoPachumba adelanta dos temas de su nuevos disco «Live» ¡Irie!